This month on /r/MachineLearning, we see images generated by Google Research's neural nets, 16 great free books on data science, a machine learning system that can play Super Mario World, a tutorial to implement neural networks in Python, and a video stream that visualizes terms provided by the audience made it to the top. 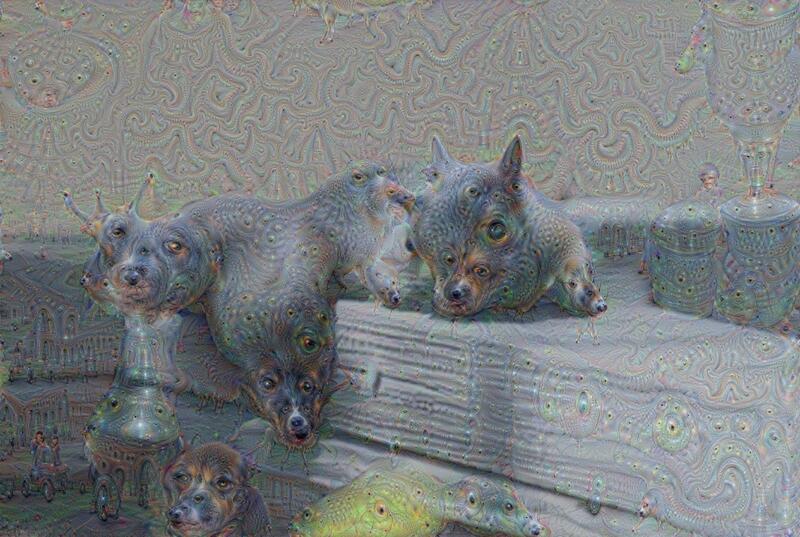 This post links to an image generated from a trained neural network. It's really fascinating to look at a convolutional neural network in this way. The blog post explaining how it was made is here. Here we have 16 great free data science books, all compiled in one place. These books cover topics ranging from Python and R to Deep Learning. Each category has at least one book that I would consider very good in its respective topic, and the list as a whole is high quality. This video demonstrates a machine learning system made to play Super Mario. It's impressive how quickly it proceeds through the level, especially considering it is an automated system. This video was also included in my list of top machine learning videos on YouTube. This tutorial builds up an implementation of neural networks from the ground up using Python and Numpy. It's great because of how it works from the basic pieces into a whole neural network library. This provides a great way to learn about neural networks in a hands-on way. This post is related to the number 1 post. Here, instead of generating images, the neural networks generate a video stream that creates video based on the words the viewers suggest. It can be very entrancing.